Gone are the days when jamb was a paper-based examination; These days, you have to face the computer. Jamb itself is not an easy examination and for that purpose; many students fail. But today I'm going to give you 11 secrets on 'How to know the correct answer in the Jamb'. 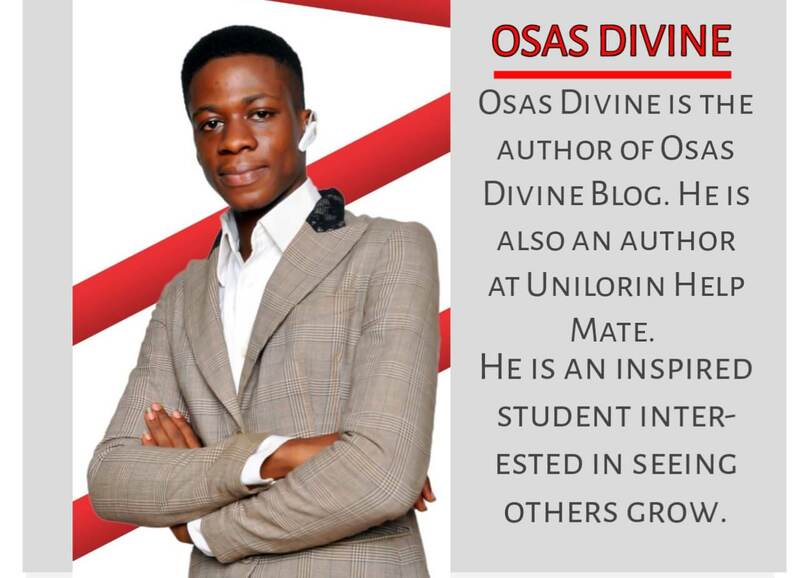 Welcome to another exciting session with Osas Divine your educational motivator. I used to think Jamb was easy until I had an experience, up till now, I am sharing the story of how I wrote Jamb and failed four times. Jamb is an extremely tricky exam. Yes, that's right! Apparently, all the options are very similar and that will obviously cause a student to pick the wrong answer. Truth be told, from the outset; the questions are difficult, you probably need to be very intelligent in other to pick the correct answer in Jamb. Ever since I started my jamb coaching blog, I have received a positive reply from prospective jamb candidates like you're, of whom read my guide like this. When they went for the exam, they came back with numerous testimonies of how they applied the same thing you're going to learn right now; and they scored above 300+ in Jamb. 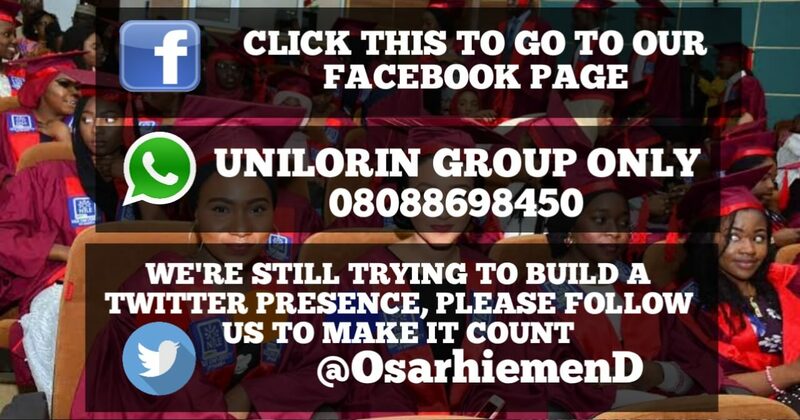 This guide you're about to read is the definite guide for anyone who wants to pass Jamb. Answers Don't fall from the skies, it comes from your brain. You have to decide whether or not you're ready to pass jamb or you just want to give a try. I don't see any reason while you as a student should rely on jamb runz when you can get the correct answer in jamb all by yourself. Back to our topic. 'Omohinwi Sarah' asked this question on our page. "How can I know that correct answer in Jamb?" In order to know the correct answer in jamb, you need to be smart and intelligent. However, using the 'look before you leap' mindset will help you know the correct answer. A few minutes from now, you will be stepping into the limelight of success and by the time I finish with you, you can easily spot the correct answer only at a gaze of the question. Before we jump into the juicy part of this article, I will let you in with a story. This story advocates every jambites who intends to pass jamb excellently. It stresses that one must always be cocksure of any action. There once lived a rich man called Benson. He raised a little dog called Blinka. Blinka grew up into a daring loyal canine. At some point, Benson and his significant other went out for shopping, leaving their 6 years old child under the company of Binka. When they returned at night the puppy headed out to welcome his master. Benson was stunned to discover the puppy's mouth with blood. Frightened for his only young son, he had invested all his life savings and support on. Seeing the ground covered with blood, he reasoned that the canine had killed the child so he desperately murdered the puppy. Just then he heard the child's cry and hurried there. He saw the infant safe sitting near a dead wolf, that was killed by the puppy. He atoned for his not thinking and being sure before acting. I believe this story already pinpoints my idea. How does this story relate to knowing the correct answer in jamb? Key point: If you want to know the answer correct you have to first think deeply before choosing anything. The man was wrong because he didn't look before he leaped or rather, he didn't think before acting. So that's the moral lesson I want you to know from today. Don't choose any answer in jamb until you're sure it's the correct answer. You have to look deeply and think before you click on an option. No matter what, don't immediately choose an answer, even if you think you know it. Pause and look at it once more before selecting an answer. Many students fail. But today I'm going to teach you how to know the correct answer in jamb. These six rules work like magic. They should be your backbone if you want to know the correct answer in jamb. But I should warn you, these rules do not work for every subject. Rule one to six only works for subjects that are definable, such as English language, government, biology etcetera. Any subject that has to deal with calculation will not answer to these rules, instead use rule seven to eleven for subjects that base on calculations like, mathematics, physics, accounting, and others. Check if there's any similar option and rule out both. After solving check if the answer matches any of the options. If it doesn't look for the most similar to what you perceive as the correct one. Before I close this topic let me shed light on these rules in case they are not clear enough. Rule 1. Eliminate the negative option(s). No matter how tough a question is, it must carry a negative option. These options are odd and do not make sense at all. I don't like telling stories all the time, let's get an example. This is a 2009 Biology past question. This is a non-mathematical question. You will definitely get the answer using the first six rules. If the first rule does not work, try the rest. PS: Before you venture into answering any question or using these rules, the first step is understanding the question. If you don't understand the question, it means you have a problem and there is no way you will know the correct answer In jamb. So look at the question very well, you don't need to be a biologist in order to know the answer. If you know the meaning of words and terms. Then conclusively, you can answer any given question. I did not study Biology, but Just mare looking at the question, I can spot out the right answer. "Chewing the cud is an adaptation peculiar to"
What does it mean to chew cud? A cud is a portion of food that returns from a ruminant's stomach to the mouth to be chewed for the second time. Let's assume you don't know what cud means. You can just carve out an idea around "Chew cud"
Now let's eliminate the answers that do not match to the question. Here are our given options. To eliminate the negative options it could sometimes be simple but sometimes difficult. This one looks simple for me because I know the meaning of "chewing cud"
So I would ask myself, what animal chews a cud. Only a ruminant animal eats food, and again spat it out then eat it a second time. A perfect example of such is a pig. So option A, B, C are negative. I know not everyone would arrive at the correct answer using this rule, but combining the knowledge of other rules you should get the correct answer. Rule Number 2: Find the key terms and supporting terms. If possible use this rule first. Most examiners will use a term to confuse you or support you in the question. Knowing the meaning of a question is important. Always look for the key term in a question. Key terms are exactly what you are asked to find. The rest words/term are the backbones to support the question or give you more idea. Take a look at this question "Chewing the cud is an adaptation peculiar to....."
"Adaptation peculiar to" is to supporting term. The focus answer is buried in the key term only. The purpose of the supporting term is to give you more idea on what you need to do with the key term. So using the key term you will know what a question means. From there you can now decide to use rule number one, "Eliminating the negative options"
Rule Number 3: Check if there's any similar option and rule out both. I bet this would rather simply the whole process. You will come across questions, of which one or two of its options portray the same meaning. Remember you can only pick one. So it's convinceable that one would be superior over the other. There are obviously there to confuse you so the secret is to rule out the similar options leaving you with a unique option. Let's say the options could be these for example. Now check, are there any similar options? Well, there are two similar options. What are they? Good, that's how to rule out similar options. Once you use this rule you are most likely to know the correct answer in jamb. Here's another secret rule if you want to arrive at the most definite answer while writing jamb. Knowing the meaning of words will give you a closer boost to getting the question correctly. It could be connotatively or denotatively. Let's go back to our first sample. What does each of the option mean? If you're able to sort out their meanings you would know which to choose. Your instincts will fail you 113 times But your brain would fail you zero times. What you have in your brain is as a result of what you put on it. If you taught your brain that 1+1 is equal 2, there is no way it will tell you 5 during the exam. Yes, that unique. Although it's not always easy to pick the answer you feel is correct within your brain and instinct. Your instinct is just a guesser. And it depends on how lucky you get. Your brain will speak fact but your instinct will guess. Your brain will speak if you studied the question in particular, but it will remain silent if you don't. That's why you need to study. See this: How to enjoy reading while preparing for jamb. Rule number 6: The correct answer sometimes will not make sense to you. Don't let it confuse you. I wish I could emphasize this the more, but it's that simple. 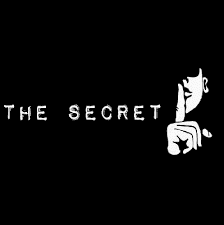 Here is the secret. The correct option may not sound appealing to you because the examiners at the Joint admission and matriculation board, knows you would pick the option that sounds sweet and common. So instead they will decide to twist it around and make the correct answer strange in a way it won't make any sense at all to you. So it's fine if your answer looks strange, just be sure it's correct. HOW DO I KNOW THE CORRECT ANSWER FOR MATHEMATICAL QUESTIONS IN JAMB. If you want any more emphasis, leave a comment below. I trust that these secret rules is the best you would ever use.